During the course we hope several of the 30 varieties of tomatoes growing on site will be harvested - a great opportunity to learn about yield extension. It's also a marvel for the eyes! Ekbacka Gård is a lovely self sustainable farm set on 20ha and located 30 kilometres from Kalmar and 15 km from the Baltic coast. Using permaculture techniques and biodynamical farming it is a fabulous example of food production and sustainable living. Since 2006 the farm has been run by Bo, Katrin and the help of their 5 children and volunteers. They added their animals (horses, goats, chickens, dogs, cats) and their dream of developing an eco village. 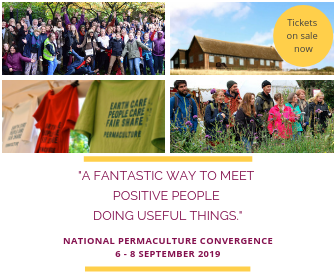 This is a great opportunity for students to see a real project where permaculture is combined successfully with community and family life. The site offers compost toilets, solar showers and access to electricity. -musical instruments, if you have!